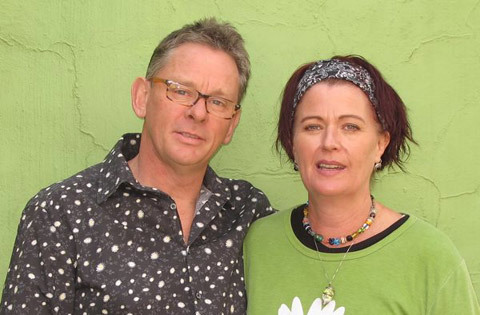 A few months ago, we stumbled upon a peculiar duo, Jules Stobbs and Myrtle Clarke, who have taken upon themselves a rather Sisyphean quest of legalizing marijuana in South Africa. At first, we dismissed them as middle-aged stoners, but the two have managed to get their case into the High Court and are gathering momentum. Perhaps local ganja fiends finally have worthy champions? We figured it would be a good idea to ask the duo, flying the colours of ‘The First Ever Legal Challenge For The Re-Legalization Of Cannabis In South Africa’, a few questions. Not because we’re avid tea-heads ourselves, gods forbid, but just to see what the deal is. Mahala: We all love lighting up joints or sucking down bongs, but a conscious struggle for the legalization of marijuana is quite an undertaking. How do you expect to rally the masses behind this cause? The Dagga Couple: One step at a time. We have been building our campaign for 18 months now and we are learning how it’s done. We will try every means possible to get the word out there and drum up support. Anyone prepared to sponsor a billboard campaign? Or do you think that this can be achieved by only a few dedicated people, such as yourself? We certainly have a few dedicated people to thank for getting us this far. We are not only doing this for ourselves and this is stated very clearly in our court papers so we would like to involve as many people as we can. Currently we have over 40 ‘reps’ around the country. These wonderful people are spreading the word and helping to ‘rally the masses’. It is very important to remember that the courts can only affect a certain shift. Civil action has to do the rest. What are your credentials, so to say? What makes you the spokespeople for the tea-heads? We are the reluctant activists. A situation developed around a ‘bust’ at our home. The way we were looked down on and treated by the police, the way we could have just bribed our way through the system, the amount of crazy disinformation that the authorities have been lead to believe about the plant. We took a long hard look at the big picture. We figured we owe it to the plant. We’ve smoked for 50 years between us. We’ve smoked all around the world. The plant in all its forms and with all its benefits has been around us all our adult lives. Yet it’s been persecuted all our adult lives. Enemies of the state, sneaking around having a spliff round the back. We are also well placed to tackle this very public issue as we are middle-aged, tax paying citizens who have always made valid contributions to society. We are not the ‘stoners’ popular culture would have you believe. You have a case in the Pretoria High Court. Can you tell us a little about it and its progress, or lack of there of. This is a very slow process! The North Gauteng High Court in Pretoria granted us leave to test the constitutionality of our claims. In order to do this, we have charged seven government departmentswith enacting irrational laws which are outdated and founded on racist principles. These laws are an infringement of our basic human rights in terms of the Constitution. The Government has since replied to our ‘charges’, countering most of them. Now that we know where they’re coming from (it was quite predictable, really), we can proceed to plan our strategy. We have one more set of papers to hand in next week and then we can apply for a High Court Date,which will hopefully be towards the end of this year. The High Court will then rule on the constitutionality of the matter. What is the current legal status of marijuana, in comparison to, say, cocaine? In SA, Dagga is right up there at the top alongside heroin. Dangerous, dependence producing and of no medicinal use.Because cocaine is seen to have medicinal properties, it’s in a lesser category. Did we mention the word irrational? We have a 600-page catalogue of all the treatable conditions dagga can help with. All of them, peer-reviewed empirical studies. No medicinal value? An article recently appeared in Rooi Rose magazine that severely misrepresented you and your cause. Do you often face this kind of prejudice and misinformation? We weren’t so much misrepresented. We’re just sick of the blatant untruths, cut and pastes from the 80’s, and fear-mongering. People are fearful enough with what’s going on around them and around the world. Stop making people scared of dagga when they don’t need to be. The other aspect was the light in which the article was written. Always taking the subject lightly, as if it’s all a silly frivolous skylark the stoners get up to. Where does our weed currently come from? South Africa’s weed comes from all over SA. The 2nd highest smoking country in the world. Legendry strains of world-renowned cannabis. Mountain strains, coastal strains, hydro grow op’s in sheds in suburbia, a couple of plants in a pot on the balcony. All over. We guess, generally speaking, Transkei weed makes its way to Cape Town, Swazi weed ends up on the Highveld and Durban coast. Lesotho weed spreads through KZN and Gauteng and there are thousands of different strains of seeds all over the townships, wasteland, roadsides, flower beds, all over the country. What would legalization change? Would jobs be created? What would be the positive commercial gains for the government and civil society? Remember that all parts of the plant and all uses are illegal – buds for smoking, extracts for medicine and hemp for industrial applications. Legalization would allow dagga smokers to smoke and, by becoming a legitimate commodity, most of this revenue would leave the black market and enter the mainstream. Even more so than this, we intend to pave the way for legitimate medical use and there is another revenue stream. People will be able to self-medicate with dagga and this will ease some burdens in the health sector. The industrial applications of hemp are numerous – fibre, fuel, food, shelter – it is potentially a huge resource. Legalization will also ease the burden on our law enforcement budget. Jobs go with all of the above. Why do you think legalization is even possible in South Africa, a country plagued by so many issues (which some would say are more important), when it has been a major struggle in much more liberal societies around the world? We would say that South Africa is a very liberal society with a very good track record in dealing with major human rights’ issues. Gay marriage, the death penalty, abortion, religious freedom and so on. The legalization of dagga is an issue that needs to be put to bed so that other issues can be dealt with. Do you prefer joints, bongs or vaporizers? Jules likes his glass pipe and Myrtle likes her spliffs! *Follow the Dagga Couple on Facebook. Awesome guys. Keep fighting the good fight. Alcohol is legal but weed not? What medicinal uses does alcohol have? O none. Jules and Myrtle you guys rock! Something that doesn’t always get thrown into the debate is that the black market has a vested interest in keeping weed illegal, and that the black market has a lot of political muscle with which to influence policy. Not sure how much pull they’ll have with the High Court though. I like the dude’s trippy shirt. banning something nature produces naturally indicates either a deficciency in nature or in mankind, You can choose to respect or you can choose to exploit. Most idiots choose to exploit, few choose to use : the old hippie verse of “site and setting” applied to 2012, puts us right into . in Kesey’s Cuckoos Nest. Alcohol causes thousands of directly related deaths every year. Not to mention car accidents, domestic beatings, rapes and general transforming stupidity and direct health deterioration. And while there are some good aspects to it (very few), the bad outweighs the good. Everyone knows it. 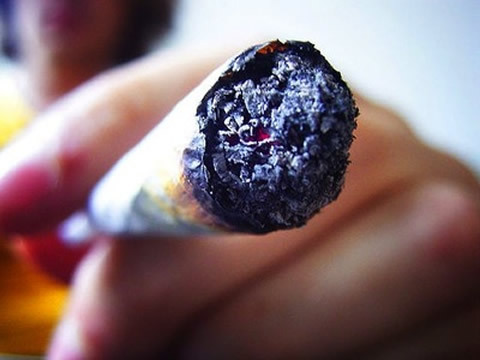 Marijuana can be bad for you if you over do it and aren’t careful about your lungs. And not everyone should smoke weed as some are more prone to laziness and psychotic mental problems. But in general it promotes a lot of healing aspects, physically and mentally and provides a far more peaceful, humble attitude towards the rest of the world. Be fit, exercise, work, be smart. Don’t be stupid. Its funny how Alcohol has millions of recorded deaths and Weed absolutely ZERO. How many people have actually looked into a countries political history to see WHY it was illegal. What you’ll find is a lot of economically motivated reasons that just told the public of side effects that weren’t all true. Research US president Nixon’s decisions on anti- weed campaigns. And then research how Alcohol was actually illegal in the 1920’s…. I honestly think that all this effort could be better spent on doing something about alcohol and the huge social problems it is creating. Mind altering substances should be controlled and we should maintain a respectful and acute awareness of the power that ANY mind altering drug can have rather than holding that substance up as something to be revered (like both alcohol and weed are. Consider weed leaf insignia and the social celebrations of alcohol). Of course you will feel a strong sense of protectiveness for a thing that enables you to be at peace whilst ignoring the pains and pure (non substance induced) joys of living life. I can understand. But I think that when one finds a platform from which they may be able to influence society, such as a high court hearing, one should pay VERY careful consideration to the power that an ‘out’ like weed can hold in a world that is, lets be honest, a tough world. Don’t let your crutch become your idol. @ Anonymous: Your point needs to differentiate between users and abusers. At the end of the day if someone is harming no one other than themselves, they should not be imprisoned. It has nothing to do with crutches or idols as the forbidden fruit dynamic is a product of prohibition. Yes, the world is a tough place… but then again, who has the right to prevent others from pursuing happiness in this world. Even when it is via mind altering drugs. We watch TV, over eat, take part in organised religion, etc all in the pursuit of happiness without fear of imprisonment. Can you say hypocrisy? This may not seem like a pressing issue to you, but it is to those who have peered down the barrel of a policeman’s gun because they have seen through the propaganda and use one of the safest intoxicants in the world, dagga! The matter is in fact very pressing as it is basic human rights violation, unfounded, hypocritical, a tax revenue drain, hypocrytical and just plain shocking. Cali’s Got Compassion why don’t We??? Hello all,I am a 23 calendar year old student and i am positioned in ohio. I’m amazed how medical mj has taken off in CA, and am a supporter of it in Oh. I’ve had significant injuries that have left me with chronic pain on a each day basis. obsticales with pain,in addition to managing my anxiety. to become taken on a every day basis which adds up to 19 painkillers a day. pill for anxiety. I really feel within the medicinal results of mj simply because i created it through lifestyle so effectivly when applying to medicate. of that i’ve seen of addiction to painkillers. It completly takes over peoples lives and out east i have seen it ruin many of the most vivrant youthful folks you could possibly imagine. It seems like youth has been taken more than by opiate dependency and by allowing medical mj i believe it’ll eliminate some of these troubles. Many comments above state how marijuana alters your mind. And others state how it can damage your lungs. I am a professional cricketer playing at premier league club, and first class level, as well as a psychology M student. I also smoke marijuana 3-4 times a day. It helps me to focus ultimately on my game and puts me in a complete concentrated, peaceful state of mind. I agree there are many out there that use the plant for shits and giggles to rebel and I wish they can see the true power of it. I run a 16 on the bleep test and play cricket every day of my life. 99% of the time while being high. I run a 10km twice a week also just after I smoke and all I can say (out of experience) is that the only effect it has on my lungs is that it opens them up completely and allows me to breath deep and fresh. My top 5 highest scores have all been when I’m high, and my exams are all written high. I see marijuana as part of my lifestyle and believe it to be quite a religious thing. I am however not dependant on the drug as I do not smoke during holidays because my family is very conservative. During this time I still exercise, enjoy life, practice cricket and stand up for the joys and peace life can give us. Not once do I crave it for the 2 month period. If anyone can tell me how the plant negatively affects me in the life I’m living, I would like to hear their argument as it better be strong. Legalizing it, would bring in a lot more tax money for the government to spend on whatever they want. There’s billions of Rands out there going into th pockets of “dealers”. Imagine if the government put sin-tax on it like cigarettes. you are a server support expert you will probably be through this command. email address owner records if you have access to this data. I’m proud to be a “pot head” like people say I am! !